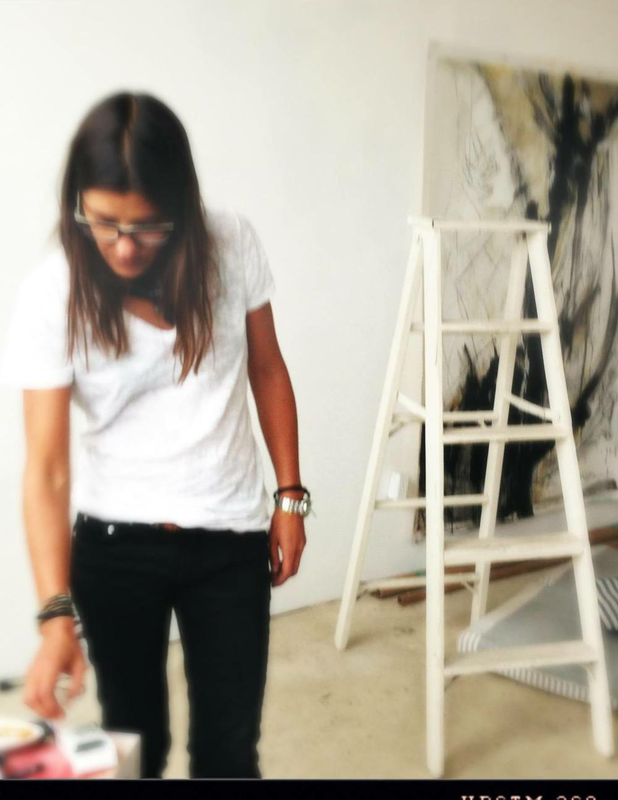 “Isabelle Maynard paints with a choreographic gesture. She is playing between colored grey nebulae surfaces and nervous lines of force”. "Dividing her time between Toulouse, France and Napa, California, French born Maynard enjoys spending time outside in nature when not in her studio. Her paintings reflect this affinity displaying rich earthy hues often topped with airy whites. The paintings are generated by a process where the artist initially covers the canvas with a thin layer of plaster, providing clarity and ground for her graphite drawings made of loose automatic lines sometimes drawn with her eyes closed. Washes of oils are applied in a limited palette. The works, some airy and dreamy and others dark and explosive, give her singular voice a wide range…expressive, subtle, delicate and at times brutal and primal. Isabelle Maynard paints with a choreographic gesture. She is playing between colored grey nebulae surfaces and nervous lines of force,” said French journalist, H.Richard. Influenced by Pierre Soulages, postmodern choreography and zen philosophy, Maynard creates paintings which embody mystery, avoid premeditated structure (and titles,) and rest deeply in a territory of the present moment and soulful meditation." My work is kind of a visual picture of the body and soul. My art is "the instrument" and my paintings are the pictures. Like an open book, you can flip it open and discover what’s inside. The most important in the process is to remain intact with oneself in order to give a moment of sincerity without any artifices. The plaster remains the blank page and the graphite the picture . When the work is done, it’s given to see. Everyone, including me, can feel it with their own eyes and understanding. The moment is captured, materialized and remains unaltered. The only thing that can change is our own different perceptions and feelings everyday.